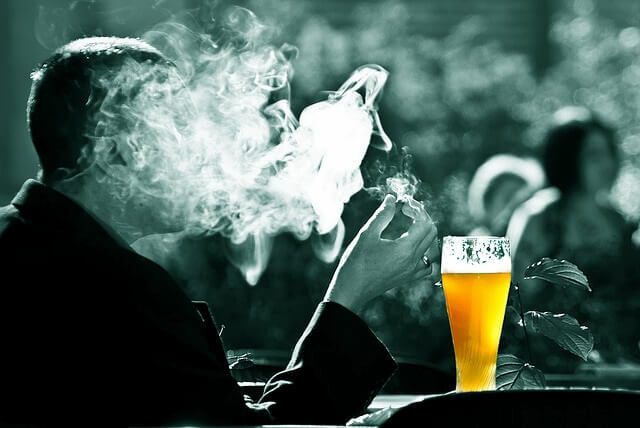 Dr Jeff Foster has predicted drinking alcohol will one day be considered as dangerous to our health as smoking cigarettes is now. He has spoken out in the wake of a recent report, published in respected medical journal The Lancet, which claimed regularly drinking even moderate amounts of alcohol can cut years off your life. He said while people were more socially aware of the potential pitfalls of drinking, they were less inclined to act on it. The report said that a 40-year-old consuming 10 to 15 alcoholic drinks a week is in danger of shortening their life by one to two years, while regularly consuming more than 18 drinks a week could see them lose four to five years off their life. “This report was based on a study of 600,000 drinkers and the results are very sobering,” said Dr Foster. “The study showed the more you drink, the more you increase the risk of heart disease and heart failure, stroke, fatal hypertensive disease and fatal aortic aneurysms. “Finally, it concluded there are no health benefits at all associated with drinking alcohol. Dr Foster is urging drinkers to stay well within the government’s guidelines for alcohol consumption in a bid to minimise the risks. Dr Foster said: “A beer is generally viewed as two units of alcohol, a small glass of wine 1.5 units and a small measure of spirits as one unit.